As I sit here on the balcony of this vacation beach house watching the sun rise over the ocean it is hard to believe the time has come to start considering winter riding options. The warm breeze blowing in from the west gives no indication of the seasonal change which is merely weeks away. 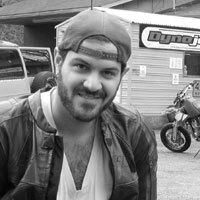 Father Time, while sometimes perceived to move slower or faster than in actual reality, cannot be stopped and before we know it we will be pulling those thermal liners out of the closet and fastening them securely to our favorite motorcycle jackets. 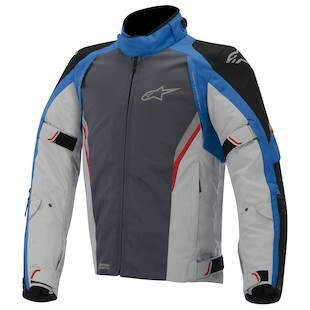 This year, one the staple 3-season, cold weather options from Alpinestars will be getting an update. The Megaton jacket, which has been a favorite among Alpinestars riders for a few years, will be reintroduced as the Alpinestars Megaton DS Jacket this Fall. More than just a facelift and a new name, the Megaton DS is a complete redesign of this favorite offering. Alpinestars started by giving the Megaton DS a sportier, sleeker look, all the while improving functionality as well as protection. Longer, ballistic nylon keeps you safe, while improved venting will keep you cool during the final days of Summer. When Old Man Winter begins to make his trek south just zip up the vents and insert your choice of a windproof Drystar waterproof liner, thermal liner, or both. Improvements in comfort and adjustment are also found in this new updated version. The accordion stretch panels at the shoulders move further under the arms to allow for a more comfortable range of motion. Beefier Velcro is found in the bicep, wrist, and waist adjusters and the forearm is now adjusted via a two position snap. The double neck adjuster has been repositioned and the collar on the thermal liner is now thinner and more comfortable than the previous model. As the sun arcs higher in the sky and temperatures begin to rise toward their estimated high of 89 degrees for the day, it is hard to imagine a time and a place for thermal liners. While never in a hurry for the summer to end, the Fall is my favorite time a year to be a motorcyclist. Darker brews will soon replace the Mexican lagers I have been drinking all summer long, much like lined jackets such as the Megaton DS will replace the armored mesh shells I have been riding in. For now, however, the only gear I am armed with is this bathing suit, some SPF 15, and a cooler full of Mexican lagers.